The most popular Lego sets feature high-performance supercars, epic superhero battles, and popular cartoon characters. 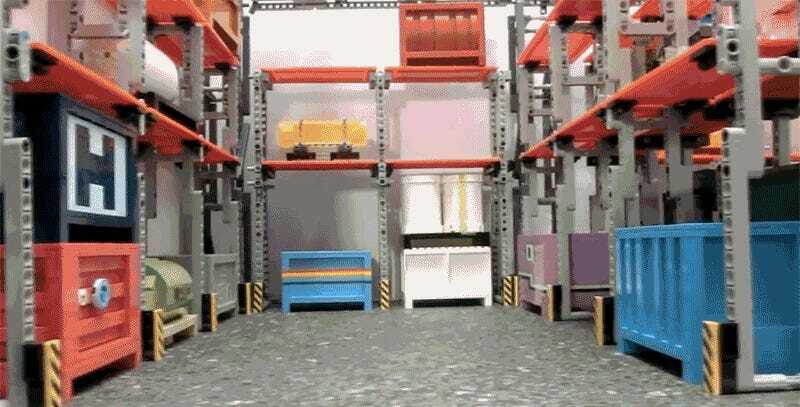 But after watching this beautifully-shot video of a bustling miniature warehouse, you’ll be wishing Lego sold a tiny remote control forklift you could drive around. Originally posted on the Eurobricks forum by user ‘mahjqa’ the Muravi Forklift, as they’ve called it, is fully-functional and can be controlled from a tablet or smartphone app over Bluetooth. In the video it scurries about moving random Lego crates and shipping containers, but you could use it to shuffle papers, recycle pop cans, or perform countless other mundane chores on your desk at work. There’s little to no chance Lego will ever turn this into an official set (instead we get sets like this) but you can check out more photos of the forklift on its creator’s Flickr page, and even download the plans for building your own over on Vayamenda.com.